As markets and opportunities continue to move quickly, IT executives have turned to cloud computing and launched cloud-first initiatives in order to equip their organizations with the agility needed to compete in today’s era of digital business. But the harsh reality is that this is no easy feat. We are years into the shift to cloud computing, and yet many enterprises find themselves stretched across on-premises and cloud infrastructure with transitions that are taking much longer than originally anticipated. Meanwhile, business opportunities aren’t slowing down to wait for the organization to catch up. This quagmire is a result of being spread across a variety of environments during the transition to cloud. Companies increasingly are switching to Software as a Service (SaaS) offerings with parity to their current non-SaaS software investments. This change in buying behavior has spurred a multitude of new SaaS software solutions in the marketplace, some by incumbent software vendors and others by new entrant vendors that offer only SaaS solutions. In these cases, IT simply subscribes to a service and consumes that software. Unfortunately, while cloud adoption has continued to grow quickly, enterprises are still left with a large software stack without an adequate SaaS alternative to migrate to. These organizations also have a large portfolio of homegrown, custom-built on-prem applications that are critical to the enterprise. Not having a SaaS option has not deterred enterprises looking to leverage cloud computing. 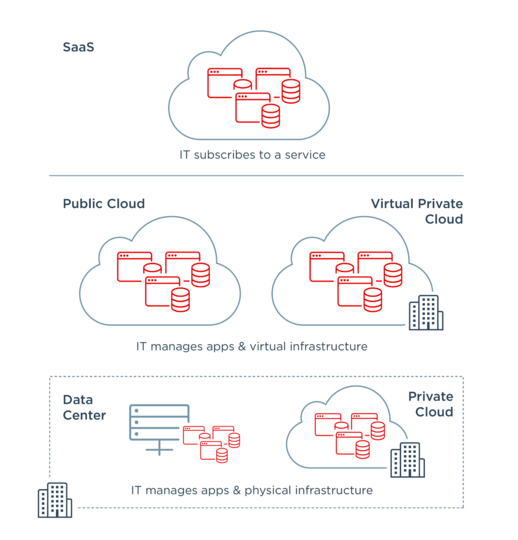 Enterprises have been able to outsource the need to manage physical infrastructure with Infrastructure as a Service (IaaS) and Platform as a Service (PaaS). In these cases, migration has been about moving apps and data into these off-premises environments. However, enterprises also have applications within their app portfolios that they either can’t or won’t move off premises. So they may leverage on-prem private clouds or on-prem data centers, depending on their security requirements specific to the apps and data in question. And herein lies the problem. Apps and data are being stretched across a variety of infrastructure and networks, not in a static way—but in a dynamic way during the transition to cloud. Delayed ROI for new digital business initiatives. Increased costs associated with complex enterprise IT architectures. Created a less productive workforce and unhappy customers due to a poor user experience. Organizationally, the sprawl of your apps and data across disparate environments has also raised some security concerns that need to be overcome, which adds increased user friction. Trying to successfully accomplish your cloud transition quickly and within budget becomes increasingly difficult when your tools aren’t solving your problems and providing the value you need. Reduce operational and capital expenditures. 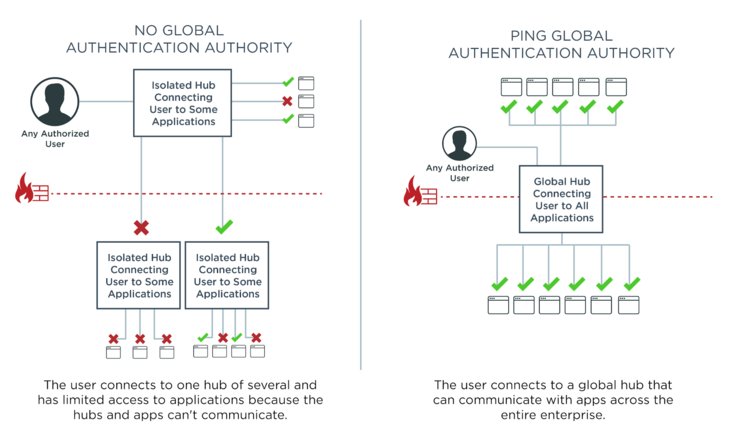 This is done by creating a global authentication authority across the enterprise that can be leveraged to connect users and their applications, no matter where those identities might be stored and where those applications might reside, now or in the future. Further, thanks to capabilities for consolidating legacy directories and integrating with legacy or homegrown applications, your enterprise has the flexibility to leverage a variety of infrastructure choices as needed. The right identity solution empowers your enterprise by providing various options based on available management resources, and offers you the control and customization flexibility needed to integrate with your current state—while enabling you to transition more quickly to the desired future state. To learn more about how identity can facilitate your move to the cloud, read the Enterprise Cloud IAM eBook: Going Beyond IDaaS for Comprehensive Cloud IAM.